In July 1890, Vincent van Gogh went into a cornfield and shot himself. Or did he? Why would an artist at the height of his creative powers attempt to take his life... and then walk a mile to a doctor's house for help? Who was the crooked little "color man" Vincent had claimed was stalking him across France? And why had the painter recently become deathly afraid of a certain shade of blue? These are just a few of the questions confronting Vincent's friends who vow to discover the truth of van Gogh's untimely death. With New York Times best-sellers like Bloodsucking Fiends to his credit, Christopher Moore has developed a devoted cult following. Coyote Blue introduces Samuel Hunter, a young man who's running from his past while being tormented by an ancient Crow God with a talent for mischief. A striking red-head, 20-something Jody is attacked and transformed into a vampire while walking home one night in downtown San Francisco. Befriending 19-year-old Tommy, Jody tries to understand her new undead life, but trouble finds her when the cops start suspecting Tommy of being a local bloodsucking serial killer. Take a wonderfully crazed excursion into the demented heart of a tropical paradise - a world of cargo cults, cannibals, mad scientists, ninjas, and talking fruit bats. Our bumbling hero is Tucker Case, a hopeless geek trapped in a cool guy's body, who makes a living as a pilot for the Mary Jean Cosmetics Corporation. Just why do humpback whales sing? That's the question that has marine behavioral biologist Nate Quinn and his crew poking, charting, recording, and photographing very big, wet, gray marine mammals - until the extraordinary day when a whale lifts its tail into the air to display a cryptic message spelled out in foot-high letters: Bite Me. A farang is dead and the Bangkok police have a confession the next morning from a young paint-thinner addict. He claims he killed Ben Hoadly, an expat Brit, but Calvino has his doubts when he sees heavy bruises on the kid's face. In no time, Calvino is working both sides, out to find the killer for Hoadly's wealthy father, and eager to clear the addict's name for a beautiful friend who runs a charity in the slums. New York Times best-selling author Christopher Moore channels William Shakespeare and Edgar Allan Poe in this satiric Venetian gothic featuring the irresistibly mischievous Pocket, the eponymous hero of Fool. 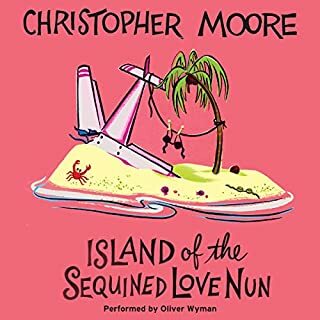 Once again, Christopher Moore delivers a rousing literary satire: A dramedy mash-up rich with delights, including (but not limited to): Foul plots; counterplots; true love; jealousy; murder; betrayal; revenge; codpieces; a pound of flesh; occasional debauchery; and water (lots of water). Not to mention a cast Shakespeare himself would be proud of: Shylock; Iago; Othello; a bunch of other guys whose names end in o; a trio of comely wenches; the brilliant Fool; his large sidekick, Drool; Jeff, the pet monkey; a lovesick sea serpent; and a ghost (yes, there’s always a bloody ghost). Wickedly witty and outrageously inventive, The Serpent of Venice pays cheeky homage to the Bard and illuminates the absurdity of the human condition as only Christopher Moore can. Combining plot points and characters from The Cask of Amontillado by Poe, Othello and The Merchant of Venice by Shakespeare, Moore sends Pocket the Fool off on another adventure, this time in medieval Venice. Pocket, nicknamed Fortunato by the Doge starts at a very low point in his life. He is the intended victim of a conspiracy between some merchants of Venice and Iago who want to start a crusade in order to increase their wealth. The last one had worked so well for them. Pocket is so low that he little cares for his life-- until he discovers that this conspiracy is the cause of his misfortunes! Most Heinous F___ery, as he says. And the story takes off-- ribald, bawdy and very, very clever as Moore combines characters from all the stories into a fun listen. 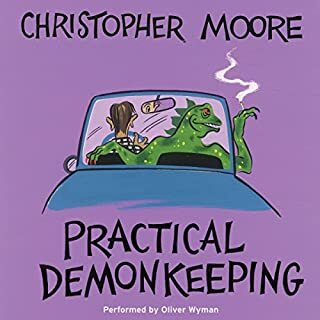 Christopher Moore is funny when read by oneself, but when Euan Morton does the narrating it is rib splitting and laugh out loud-- if you like Christopher Moore's brand of humor. HIs satire about recent world events is spot on. So why not 5 stars across the board? I thought that there were a couple of places where it moved a little slow. Also there were so references back to events and characters in Fool that probably would have confused a new reader. I just took it as an opportunity to listen to Fool again. In fact, if you thinking about buying this listen and have not heard Fool you would do yourself a great favor if you listen to Fool first. 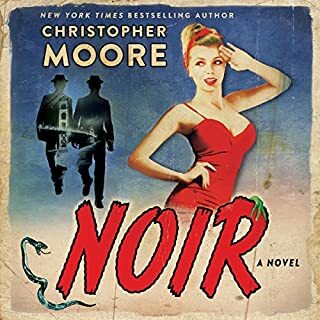 Both books have entertaining Author Notes read at the end by Christopher Moore himself explaining why he made the choices he did in terms of characters and time periods. I'm among a small minority of people who dislike Shakespeare and are not abashed to admit it. I just never got it. But I've always loved alternative interpretations. One of the best is Fool by Chris Moore. That was the first of Moore's books that I read, and I've since torn through almost all of his non-vampire back catalog (I don't like vampires either, but maybe Moore can do for them what he does for Shakespeare, so I'll get to them at some point). The Serpent of Venice is a sequel of sorts to Fool and it is every bit as good. Fool is a retelling of King Lear from the point of view of Pocket, the king's jester. It's laugh out loud funny -- I was laughing even before I started reading it, just looking at the map on the frontispiece. Pocket returns in Serpent to participate in a mash-up of two Shakespearie plays set in Venice -- The Merchant of Venice and Othello, with Marco Polo and a dragon and some Edgar Allan Poe thrown in for good measure. And it is just as laugh out loud funny. As in Chris Moore's very own Lamb, a well-known story is told from the point of view of a comic side character. In Lamb it's the Gospel according to Jesus's best friend from childhood, Biff, who joins him on many youthful adventures. He tells his story with great comic effect in an amalgamation of the language of the time as we might imagine it in English, biblical English, and the vernacular of modern American English. That's the formula Pocket uses to make Fool and The Serpent of Venice so funny and engaging, mixing slangy scatological American English with Shakespearian English. I didn't realize it at the time, but narrator Euan Morton got me started on audiobooks. My wife preferred audio, but I stuck doggedly to print (I still read a lot of books in print). 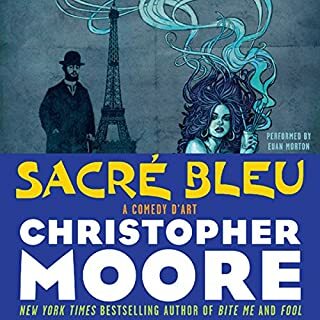 When Moore's Sacre Bleu came out, I got a hard copy for me and the audio edition for my wife. I struggled halfway through the book, enjoying it but having a hard time actually reading it. With a long drive ahead of me, I grabbed the audio version and finished it up, enjoying it so much more than the print edition that I started to listen to audio regularly. I believe Moore is best read in audio. A good narrator with good comic timing can make the best lines work better than I can in my imagination (I find the same to be true of Lee Martinez, John Scalzi, Dennis Taylor, Tim Dorsey, and other humorous writers). I have well proven this to myself, having gone back and listened to Fool and Lamb in audio, having previously read them in print, as well as other Moore titles that I hadn't already read. Euan Morton in particular does a great job with Moore, just as Wil Wheaton does for Scalzi. That said, I think Morton misfires badly with his voicing of the chorus -- too shrill and over the top. On the other hand, Pocket and Iago and Jessica are really well done, as are most of the other characters who have funny lines -- Othello and Shylock, the serious characters, are read as such, so they don't stand out as much. I'd love to take Pocket out to dinner. But only if he brings the Puppet Jones with him and speaks at least a little effing French. I would ask him to leave Drool and Jeff the monkey behind if it was dinner so that we could maintain at least a veneer of decorum, although I wouldn't expect Pocket to control himself throughout. He is a great creation.The smartest person in the room despite playing the role of fool, despite constantly allowing his ego to interfere with his thought process. And an expert in cracking wise in a combination of Shakespearian English and contemporary slang (with a decided bent toward vulgarity in both genres), and with that dash of effing French thrown in just so he can say effing French as much as possible. 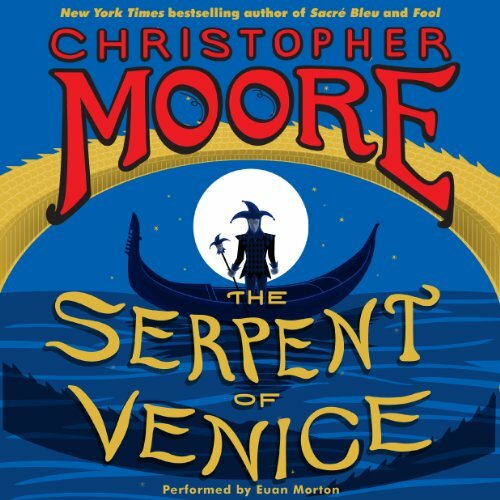 Where does The Serpent of Venice rank among all the audiobooks you’ve listened to so far? 'Lamb' is Mr Moores best book,in my opinion and Coyote Blue his worst.This is somewhere in the middle.I LOVED Fool!Serpent has 15 too many characters and I found myself getting confused.By the end I had it figured out though! What other book might you compare The Serpent of Venice to and why? Have you listened to any of Euan Morton’s other performances before? How does this one compare? Yes,this one compares quite well.The voices this man uses are awesome! Oh joyous delight!! The return of our beloved "Fool" aka "Pocket" ready to wreak havoc and run amok once again! For fans of "Fool" - you will love the deliciously salty language and abundant sexual innuendo woven throughout this tale of love and betrayal. I have not read The Merchant of Venice (yes, I know - for shame..) but it's so much better from the literary genius that is Christopher Moore - perhaps our generation's Shakespeare - after all, wasn't he thought to be quite edgy-bordering-on-vulgar back in his day? Anyway, for new readers - dive right in - you don't have to know much about the other book to enjoy it - all you need is a love for inappropriate humor, saucy characters, and tragedy perfected. I didn't give it 5 stars across the board because I did like Fool a little bit better and I reserve all 5's for only a select few. That said, I forgot to mention the narrator who needs to be nominated for an award - he IS Pocket - the performance is seamless and the production is fantastic. Great audio book - 4.5 stars. As with other titles by Christopher Moore, this one loosely follows other historical texts such as various plays by Shakespeare or the bible. I thoroughly enjoyed this book. I'm a big fan of Moore. His newest books have been about a piece of history and/or a story from Shakespeare that he then puts his own nutty twist on. And Moore is nutty. Of that particular genre, this is his best yet. If you've read "Fool," the main character Pocket is back to lead us through, well kind of, the story of Othello. The story line, the pace of the story, and the action are great. The story is driven by Pocket and it's believable, fun, and left me guessing as to what would happen next. The best part, as with most Moore books, is the quippy dialog and character development. That's where this book really shines. I laughed out loud several times and just loved Pocket by the end. He's silly, and funny, and naughty but also is developed as a character. It didn't get five stars because about 2/3 of the way through, the story got a little muddled for me with the large number of characters. I got lost as to where the story was going a little bit. One, possible suggestion: At the end of the book, the "afterward" or epilogue, Christopher Moore himself comes on and explains where the pieces of the stories were taken from to create his story. He talks about the history and about a couple of works from Shakespeare. If I had my choice, I would have listened to that first. I think I would have enjoyed the story even more. If you'd rather be completely surprised by all facets of the story, then don't listen to it first. But if you'd like to have your bearings, and understand why Othello runs into some of the characters he does, before the book, I'd go to the end and listen to Moore's dialogue. It is really interesting stuff, it was great that he added it. Morton as a narrator was awesome. The "chorus" voice was a little annoying, but it was supposed to be, so it worked. I have been a long-time audible member, and as I travel a great deal for my job, i consume audio books frequently. 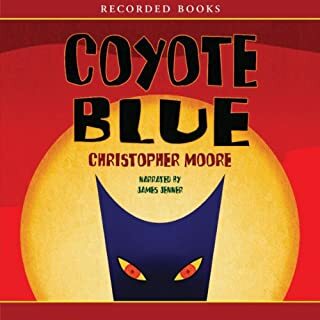 I read Christopher Moore many years ago in book form, and when I saw this new book had come out, I tried it. For many books, the audio book version is about equivalent to reading the book in paper form (for me, anyway) except that I can drive while doing it. There are great narrators, and most of the books I have listened to are delightful. This audio book is the perfect pairing of great, enjoyable story and narrator that seems to have been born for this part. Mr. Morton brought this wonderful story to life in ways that left me amazed. He is truly gifted and I will seek out his other books. You *MUST* experience this pairing. Words, alas, do not do the experience justice! The book's seemingly effortless synthesis of three different plots is masterfully executed. Very entertaining, at times downright hilarious. several turns of phrase that will stick with me for a long time. the narrator is amazing, his voices really carrying the characters and the humor. Clever, irreverent, and bawdy - the triple crown! Christopher Moore is no fool. He's one of the funniest and (only in the best way) sickest writers who ever penned a Shakespeare spoof. To get the most of this one I think one needs a passing recollection of a couple of Shakespeare plays (Merchant of Venice, Othello) throw in some Poe (Cask of Amontillado), a 1950's monster flick, and the willingness to listen to some junior high school humor spoken in a British accent and you've got the perfect way to giggle through an afternoon. Careful not to drink anything while you're listening - - I almost coughed up a lung full of coffee onto my iPad. Oh, and if you want to go in order, pick up Fool by Christopher Moore first, then go here. Great fun. Sadly, I've gone from being a massive Christopher Moore fan after reading Dirty Job and 12 other fantastic humor novels to now dreading each new book. The reason: Since Fool, he has devolved his humor down to insults, scatalogy and sexual innuendo. The story in here is pretty dumb and basic covered over by endless jokes of the sort above. So sad and disappointing. At least no longer to my taste.